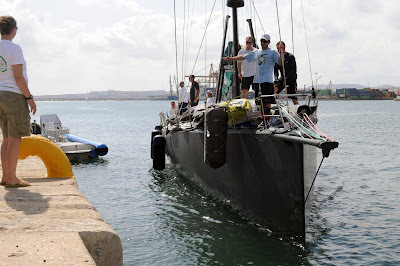 Delta Lloyd, Ger O'Rourke's eleventh-hour entry into the Volvo Ocean Race 2008-09 arrives into Alicante completing the fleet of eight yachts. 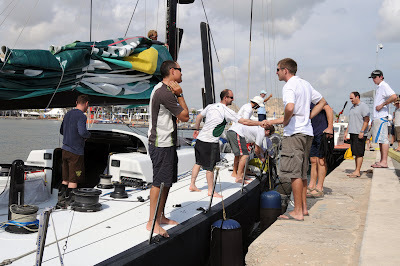 The boat was sailed from Cork, Ireland with a crew of nine people from three nations, Ireland, Britain and New Zealand with the rest of the team from Holland joining the boat in Alicante. Many of the crew are from Ger O'Rourke's old boat Chieftain and have made the step up to the Volvo Open 70.